1. How does a non-dispersive infrared (NDIR) gas sensor work? The world best temperature change compensation throughout the whole operating Temperature range, let alone persistent statility and uncompatible accuracy even for small sensor. 3. There are few deviations between sensors and quality is uniform across products. 4. We provide a wide range of products. We design, develop and produce our products in our own facility.Therefore we develop and supply the customized products to meet the demand from world leading Customers. Retained technologies: Optical cavity technology, temperature calibration technology, hardware design technology, Firmware design technology, size minimization technology, multi sensor co-design technology, etc. The core technology is to fabricate best performance with longer optical path even with small cavity sensor. The ELT Sensor has the biggest number of optical cavities for CO2 sensor. 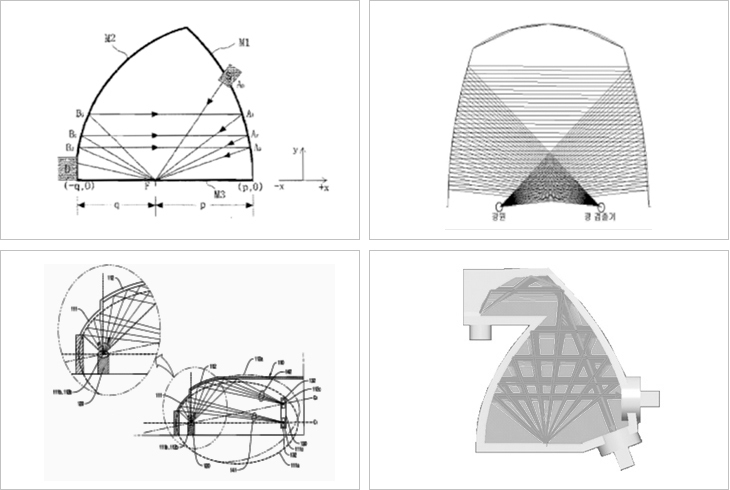 Characteristics: small size but long optical path for high performance, single and dual optical path, etc. Measurement Gas: CO2, CO, HC (CH4, C2H4, C3H8, C4H10), NH4, etc. Gas Concentration: All ppm range of CO2, LEL % range of CH4/C3H8/C4H10. 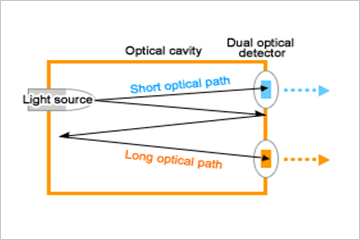 Optical paths are composed of a long optical path and short optical path. The Short optical path detects CO2 and the long optical path detects the gas such as CO or NH3 with high optical absorption rate. It is possible to re-correct very simply and in a very short amount of time by applying automatic correction or 1-point manual correction method with the ELT SENSOR product.